About Azelio Azelio is a private Swedish company, specializing in Stirling-based energy solutions with high-efficiency and modular concentrated solar power (CSP) with thermal energy storage (TES), for sustainable electricity production when and where it is needed. The technology is revolutionary for its unique ability to store thermal energy for production of electricity at nominal effect for 13h, to a low cost. The company has about 90 employees, headquartered in Gothenburg with production in Uddevalla and development center in Gothenburg and Åmål, as well as international presence in China, Spain and Morocco. Since the start in 2008, the company has invested over one billion SEK in technical development. In June 2018, the company changed its name from Cleanergy to Azelio and in December 2018 the company was listed on Nasdaq Stockholm First North. FNCA Sweden AB, +46(0)8-528 00 399, info@fnca.se, is Certified Adviser. Azelio signs a Memorandum of Understanding (MOU) with the Pakistani company JD Aviation for reliable and sustainable electricity supply in Pakistan. The MOU is a first step in introducing the technology to the market in Pakistan. A market characterized by an unreliable electricity grid and good solar conditions, where long-term energy storage with cost-effective electricity production will make a big difference.Pakistan has an average of 75 power outages per month (World Bank, 2018) and is dependent on backup systems to ensure a functioning infrastructure with continuous electricity supply. Swedish solar company Azelio on June 14th launched a demonstrator of its unique technology for solar energy storage. The technology is revolutionizing in its ability to generate clean electricity on demand around-the clock in a distributed way. 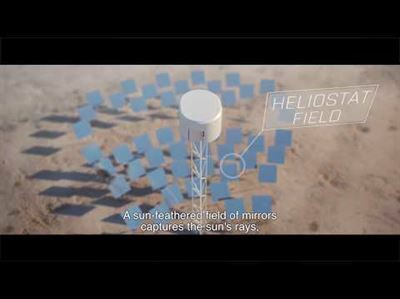 It has modularity benefits and is more cost efficient than competing technologies, including fossil based.Azelio's unique solution is based on Stirling Concentrated Solar Power (CSP) with multi-hour Thermal Energy Storage (TES). It can be built in a modular way from small to very large installations with maintained low cost and high efficiency.